Robot Mode (Roller): Roller’s name is, of course, homage to the small companion of G1 Optimus Prime. He’s a figure of the Cyberverse Commander class, meaning about the size of what used to be the Basic or Scout class. He’s tall, but relatively thin. Thanks to his arms, one normal and one very long, he’s got a bit of an asymmetric build. The posability is okay for a figure this size, though nothing more than that. No elbows, no neck movement, but pretty posable legs. Apart from the head and torso his paint job is rather boring, but that’s something we’re used to in DOTM by now, aren’t we? Bottom line, an average robot. Considering that he’s just an add-on here, he’s okay. Alternate Mode (Roller): Roller transforms into a kind of moon buggy, which makes sense considering that, in the movie, the Ark crashed into the moon. Of course it did so before any man-made vehicles were there, but whatever. The vehicle kind of reminds me of the Armada Minicon Cometor. The long arm in front is posable, just like the solar sail and the antenna. Still, not a whole lot of play value to be found here. So, again, for an add-on, it’s okay. Ship Mode (Ark): You’re not buying this set for Roller, of course, but rather for the Ark, the legendary space craft of the Autobots since the days of G1. One thing first: For practical reasons this toy here is, even compared to the rather short Cyberverse figures, much smaller than the huge space craft we saw in the movie. It looks more like some kind of star fighter. The big cockpit up front seats Roller or another, similar-sized figure, but apart from that the Ark has very little interior space in this mode. What is far from little, though, is its arsenal. The Ark has two missile launchers that fire translucent projectiles two translucent guns that light up via a button, several sculpted-in gun turrets and rocket launchers, as well as no less than eight Mechtech Ports, six ports for smaller (Cyberverse?) weapons, as well as four C-bars for clip-on weapons (two of those on the removable black guns). The only downside to this mold is the one shared by quite a few other DOTM figures and toys: the rather minimalist use of paint. Apart from a few gold highlights and the dark grey up front, the Ark is all silvery-gray. Not bad, but the many terrific-looking sculpted details could have used quite a few more paint applications to really shine. Still, a very nice ship mode, and just the beginning for this play set. Base Mode (Ark): An extremely simple transformation (just pull apart the sidesof the Ark, flip them open and you’re pretty much done) you have a base of the kind we haven’t really seen since the days of the G1 Citybots. The middle of Ark forms a command tower, the rest folds out into a big platform. Up front is a ramp with a kind of launching mechanism for Legion/Legends class cars. On the left (as seen from the front) you have kind of fold-up repair bay, while the other side holds a circular platform that I’ve chosen to interpret as a space bridge terminus. Here, too, weaponry abounds. Beside the central, spinning turret, which also lights up via a button, pretty much all of the (non-sculpted) weapons from the ship mode are available here, too. And apart from the light-up guns, everything can be removed and placed elsewhere. Beside the ones used by the built-in weapons, you have six more Mechtech Ports, as well a several smaller ports for other weapons. And defeated opponents can then be stashed in the prison cell at the base of the tower, which holds Legion and Commander-sized figures. To my eye a very nice play set and the base mode does actually use a bit more color. Still not a whole lot, but there is some more gold and copper, as well as a blue-grey floor. Still a bit monotone, but better. Remarks: For the third part of the live-action movie series, one of the classic institutions of the Transformers brand has been revived: the Ark, the legendary Autobot ship that crashed to Earth with Optimus Prime and company on board. Okay, the ship only got a name in the comics and later on in Beast Wars, but it’s a major part of the Transformers mythology. For the movie some things were changed a bit. Instead of Optimus we have Sentinel Prime on board and instead of crashing to Earth, it crashed on the moon. Still, it’s nice to see an old acquaintance again here, incarnated in toy form for the first time, even though this toy holds little to no resemblance to the classic G1 Ark. The Ark is a play set for the Cyberverse figures, a subline tailored toward younger fans. Grown-up TF collectors might be a bit disappointed that their Deluxe, Voyager and Leader class figures don’t fit here at all, but for the little ones (figures and children) this is a very nice setup. Besides, as the pictures above should prove, it’s fully compatible with G1-style Legends-class figures, too. 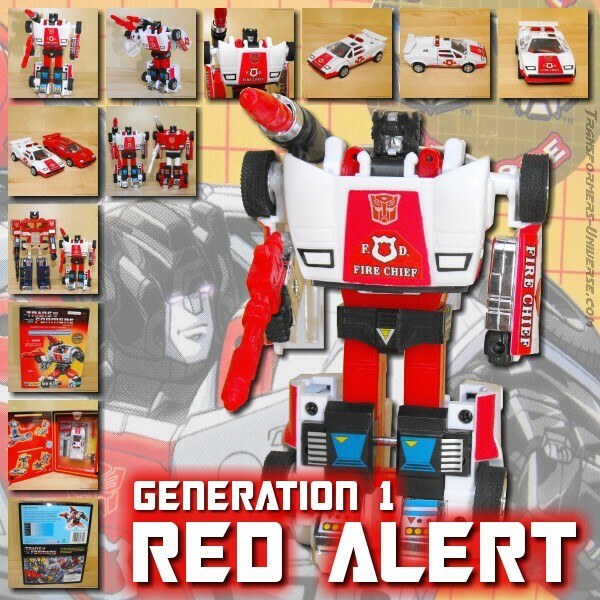 So the bottom line: not necessary something for grown-up collectors who only want to put their toys on the shelves, but worth a look for everyone else, be it because of the movie or because of the G1-nostalgic name. For me, I got the Ark as a present from my beloved wife and I am very happy with it.